Friday, Lt. 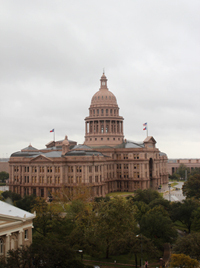 Governor David Dewhurst announced Texas Senate Committee assignments for the 83rd Legislature. "Texas is the number one state in America to do business, with the fastest growing population, and thank goodness we have such talented state Senators helping to maintain Texas’ prosperity. During this session, we will be focused on balancing the budget without raising taxes, improving public education and increasing highway capacity and drinking water resources for our growing population. I know that our Senators are up to the challenge to keep Texas number one for decades to come." Sen. Glenn Hegar (R-Katy) will chair a subcommittee of the Senate Finance Committee to review state and local revenue matters. Please click here to view the list for committees and members.